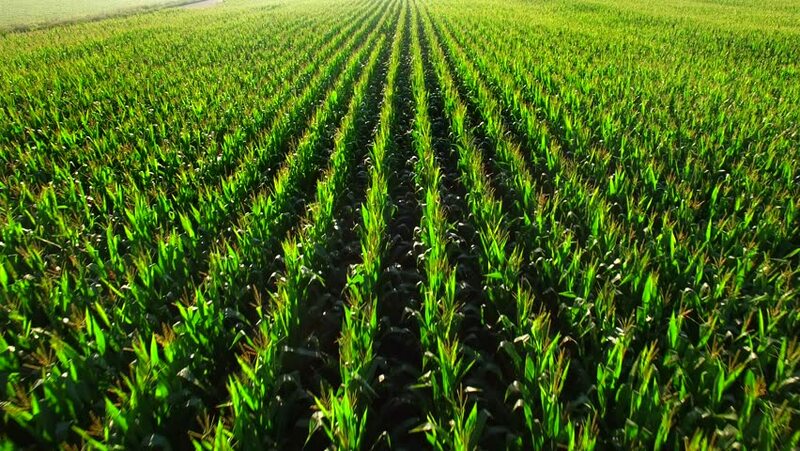 Healthy, lush green corn field by the light of the rising sun, aerial view. hd00:30Green trees on the farm. Slow motion.